Are you ready to truly be the worst nightmare of all time? We all know who that is right? We are talking about none other than the man that haunts the teens of Elm Street, the infamous Mr. Freddy Krueger! Now you can bring this horrifying villain to life this Halloween when you complete your costume with this Adult Freddy Krueger Glove. This amazing accessory is designed to look exactly like the terrifying tool Freddy uses to slice and dice all the teens in the classic slasher film. So, yeah, we’re pretty sure it goes without saying that you’ll be haunting plenty of dreams once the lights go out. Be sure that you take a look at the rest of the Freddy themed accessories we have available. Don’t go out into the party scene with out his classic striped sweater and fedora, oh and, of course, one of our detailed Freddy Masks! 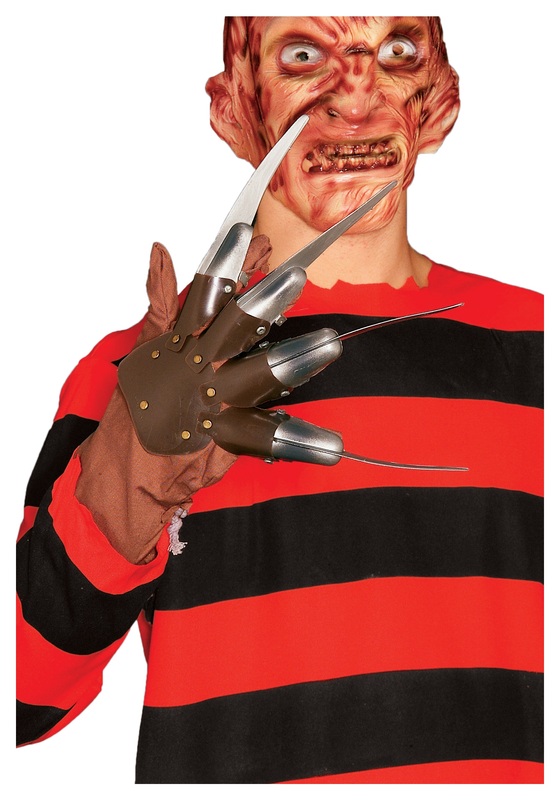 This Freddy Krueger Glove will bring the whole costume together and make you the most memorable monster this Halloween! Great price! The only problem was that it didn’t really fit/stay on fingers that well. Should maybe try to design better finger slots for it. 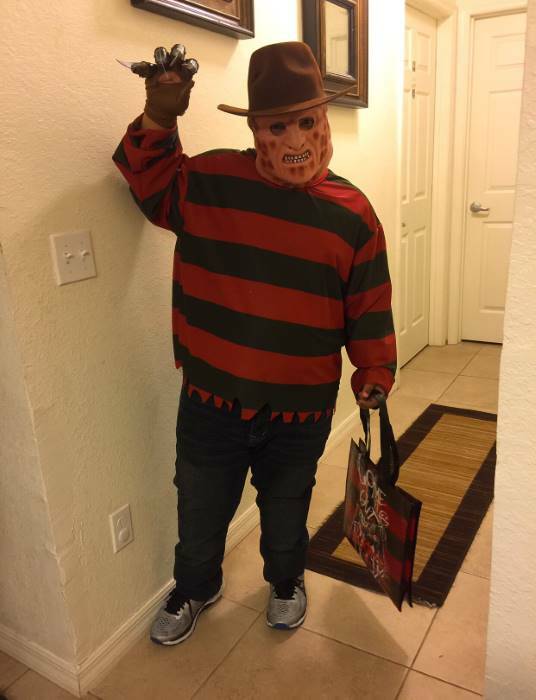 Other than that, my son loved his costume! This is really well made for the price i paid. It will be perfect for Halloween, and should hold up for a few months after as my kid plays with it.